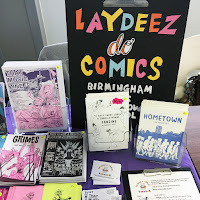 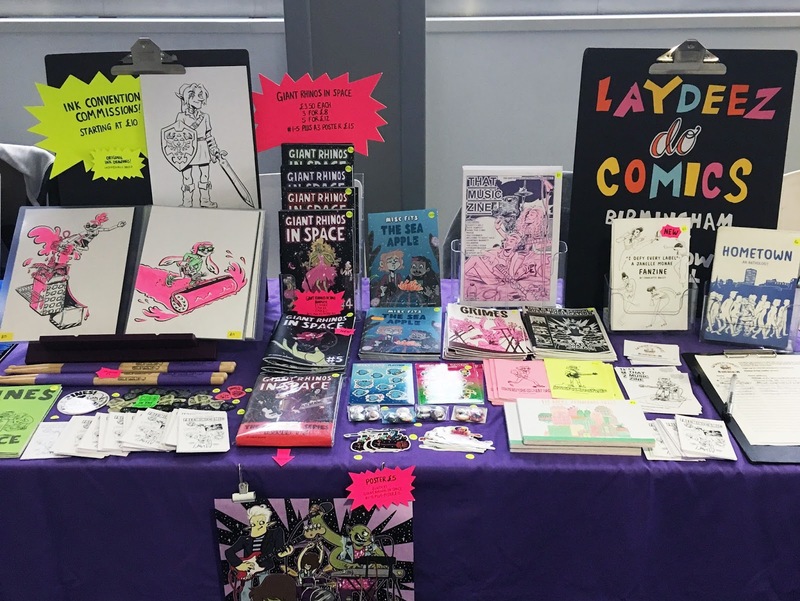 Thanks to everyone who came by the Laydeez Do Comics table at the Birmingham Comic Art Show on Saturday. 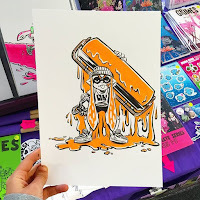 It was pretty quiet but a nice opportunity to meet some more local creative people. 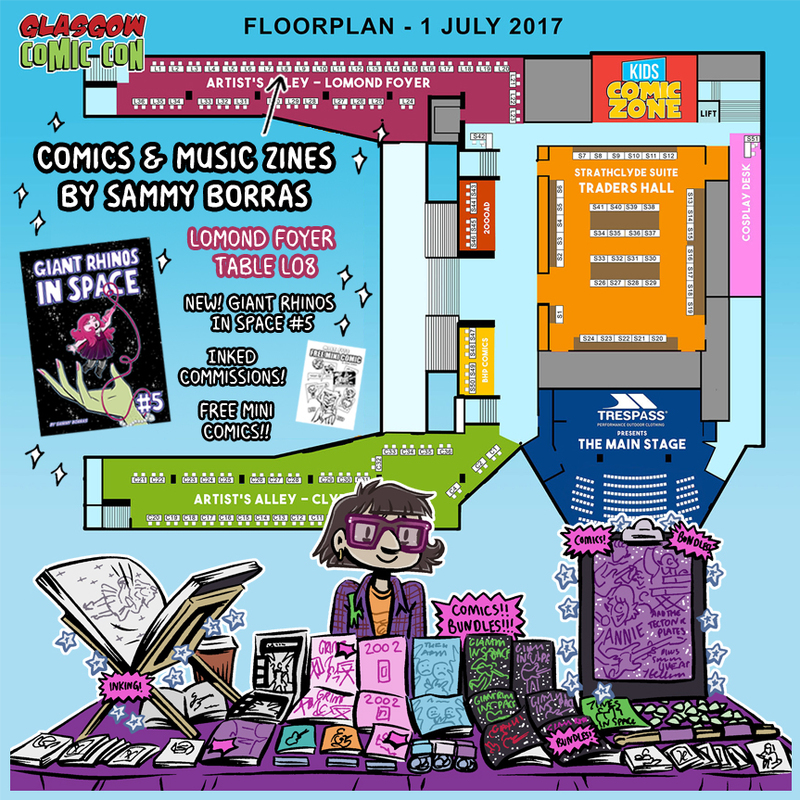 I'm really looking forward to Glasgow Comic Con this weekend - You'll be able to find my table L08 in the Lomond Foyer. 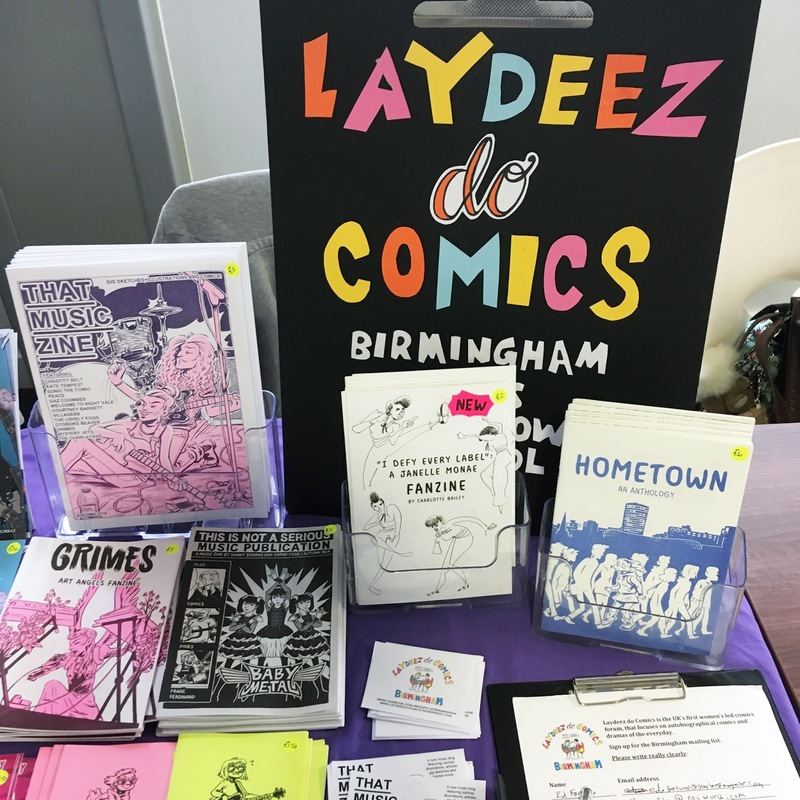 I'll be taking all the usual comics and music zines, plus copies of Charlotte Bailey's new Janelle Monae Fanzine. 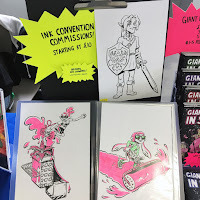 I'll be offering Inked convention commissions starting at £10. 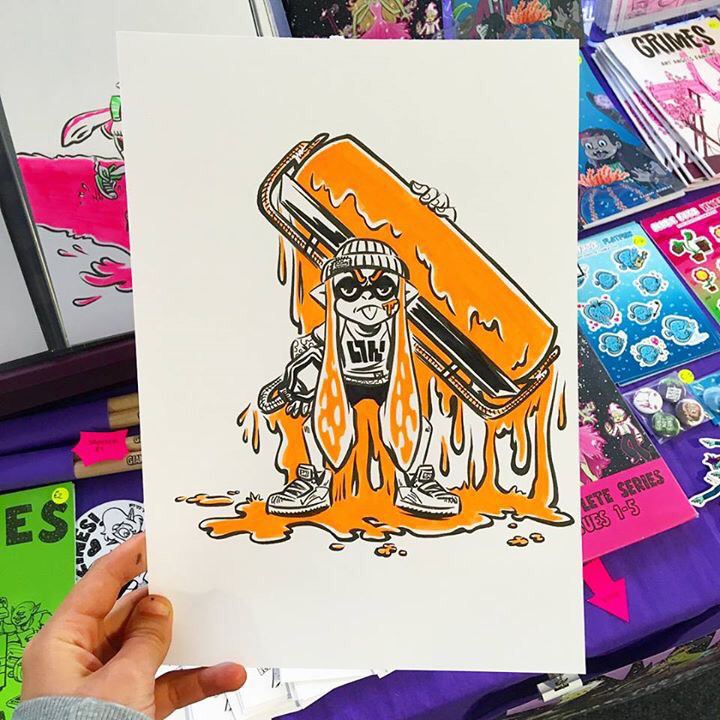 I'll also be taking some neon markers with me in case you'd like a portrait as an Inkling or Ghost Buster! If you're low on budget don't worry about it and please still come say hi - I have free mini comics to hand out!